As McDonald's tries to capture the attention of new and lapsed customers, the fast-food chain has turned to some familiar millennial bail: sriracha. In July, McDonald's added a sriracha and kale burger to the menu for a limited time. And, in August, the chain began serving Sriracha Mac Sauce in packets perfect for nugget dunking. While sriracha has been associated with restaurants trying to stay on trend for years, this time it looks like not everyone is willing to bite. The first sign something was wrong in sriracha paradise was the response to an Inc. article with the headline "McDonald's Just Rolled Out Radical New Burgers With Millennials' Favorite Ingredient." On Twitter, people were quick to point out that sriracha was not millennials' favorite ingredient. Instead, the generation was craving something else — universal healthcare, possibly, or maybe just some Adderall. A second strike against the Sriracha burger came this week, with a brutal Washington Post review of the new menu item. "[T]he sriracha-and-kale combo smacks of desperation," Tim Carman writes. "It reeks of a corporate attempt to capitalize on two of the biggest food trends of the past decade (although far after each has peaked). It's the fast-food equivalent of watching your Dad sport rompers and pledge his undying love for Drake. Carman's response and the Twitter backlash to Inc's "millennials" tweet reveal an inherent truth in fast food in 2017: nothing is wrong with adding new menu items, as long as chains don't try to be cool while doing so. In fact, many people are enthused about McDonald's serving sriracha. I want to eat that new sriracha burger at McDonald's. I can't believe I want to eat something at McDonald's. Sriracha has lost its hipster charm. But, on a basic level, it's still just plain tasty — unlike kale, which has no place on a fast-food burger. This new sriracha Mac sauce from McDonald's is so good with these nuggets. PSA McDonalds has sriracha mac sauce and it's amazing. 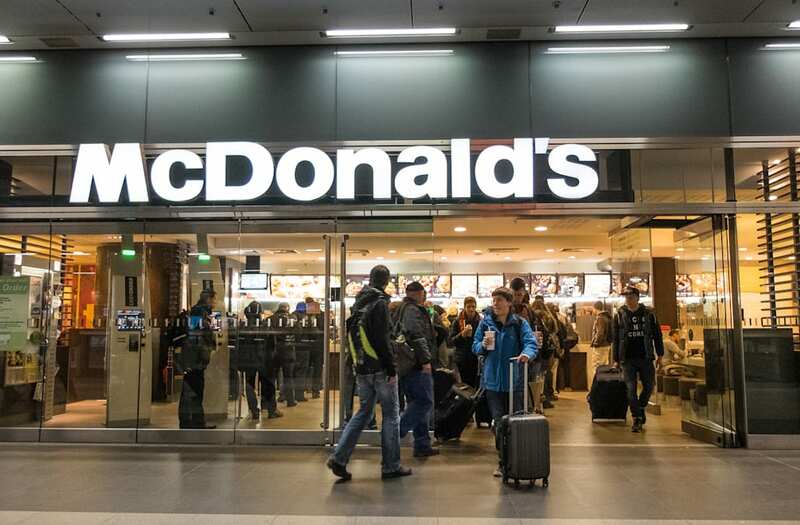 If something it makes McDonald's burgers and nuggets taste better, that's all the chain needs — not an awkward attempt to appeal to "millennials."